Are you average? Normal? Forgettable? 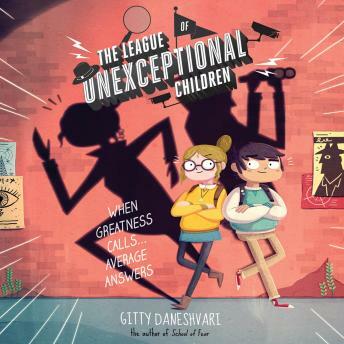 If so, the League of Unexceptional Children is for you! This first book in a hilarious new adventure series is for anyone who's struggled to be noticed in a sea of above-average overachievers. What is the League of Unexceptional Children? I'm glad you asked. You didn't ask? Well, you would have eventually and I hate to waste time. The League of Unexceptional Children is a covert network that uses the nation's most average, normal, and utterly unexceptional children as spies. Why the average kids? Why not the brainiacs? Or the beauty queens? Or the jocks? It's simple: People remember them. But not the unexceptionals. They are the forgotten ones. Until now!